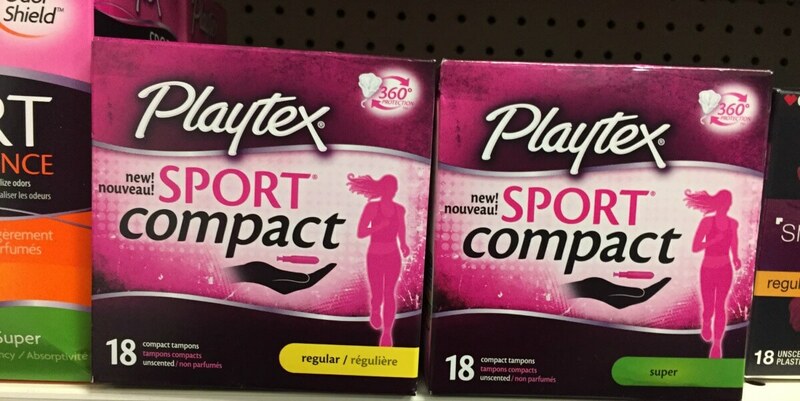 Playtex Sport Compact Tampons Only $0.99 at CVS! Here’s a hot deal on tampons this week at CVS! We know how expensive these can be when they are NOT on sale, so make sure to add this to your CVS shopping list! Now through 5/20, CVS has select Playtex tampons on sale for just $4.99. Plus, you will receive $2 Extra Care Bucks when you buy 1 (limit 1). 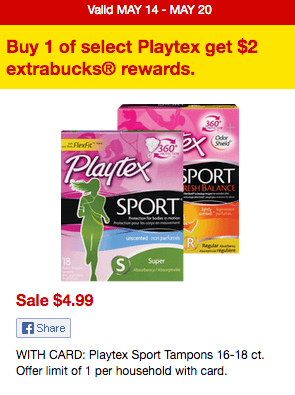 Look for this high value $2/1 Playtex Sport Compact Tampons from the 5/14 SmartSource insert (exp. 6/14/17). You can score this for only $0.99 after stacked offers! Don’t forget to check your CVS app and scan your card at the ExtraCare Coupon Center in store. You never know what surprises you might find there! CVS Brand Aspirin as low as FREE at CVS! TRESemme Expert Hair Care Just $0.75 at Rite Aid!